Mamas and Papas is by far my favourite store for everything baby related. 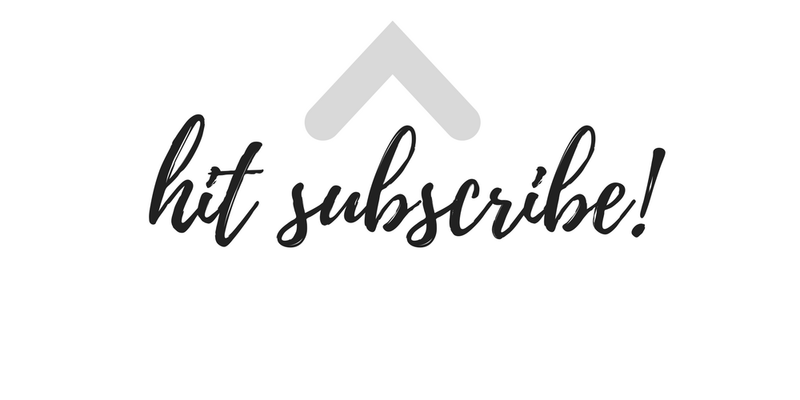 The baby clothes are dreamy, the nursery decor is exactly my taste and you can always rely on the staff to offer the best advice when you find yourself totally overwhelmed with choice. 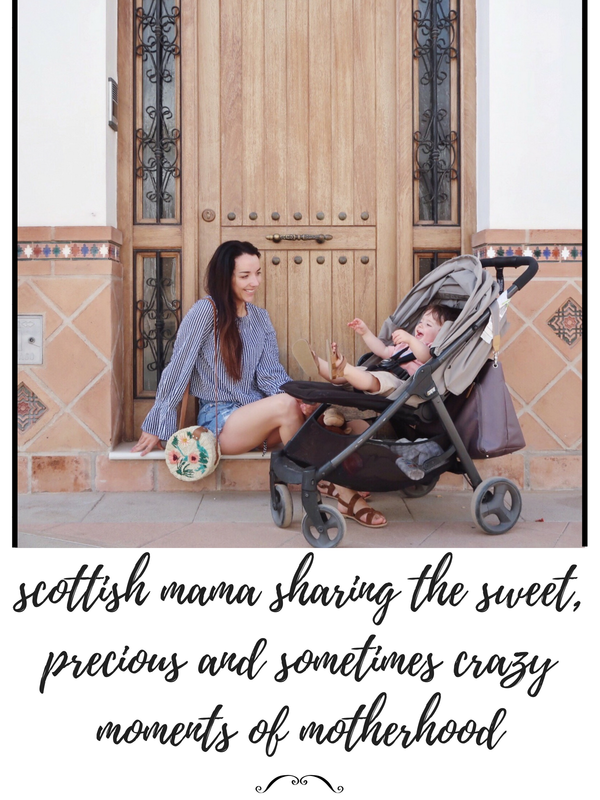 Since having Oliver, I spend a lot of time in Mamas and Papas so I was super excited to be invited to the launch party on Friday*. The old store at Glasgow Fort has closed and a revamped, updated store has now opened at the other end of the shopping centre. You can find the new store next to M&S and River Island. Oliver and I were up bright and early (as usual) so we made our way to the event quite early, thinking we'd arrive and have the store to ourselves for a while before it got busy. It turns out everyone else was just as excited, as the shop was already buzzing at 10am and there was a great atmosphere with goodie bags handed out as we walked through the doors and excited staff members ready to give us a tour of the shop. The goodie bags had Bloom & Bloom products, the cutest cloud covered bib and vest set and the sweetest little rattle that Oliver has been pretty much obsessed with ever since. It seriously is a beautiful store now. 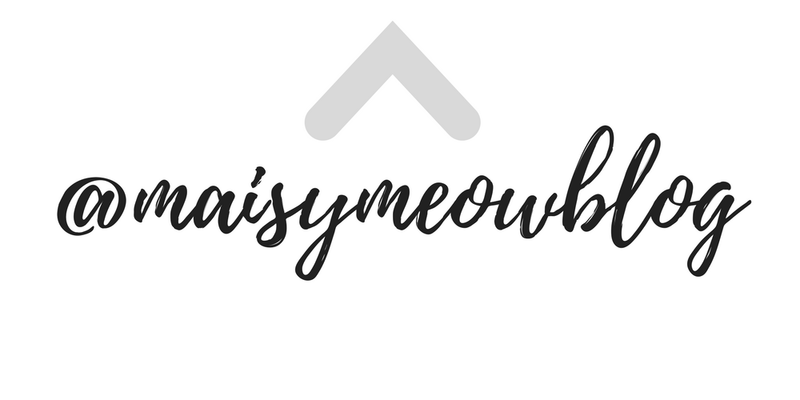 It's decorated in neutral greys and whites with baby clothing sections, a gorgeous homeware area with displays to die for and a full display of prams and car seats towards the back of the shop. 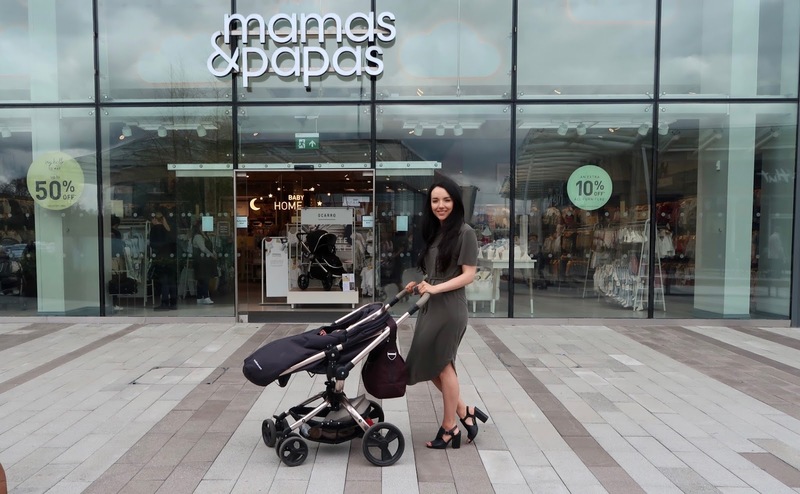 But that's not all - Mamas and Papas now have a personal shopping service, with a seated area and dedicated staff that'll talk you through everything you need for a new baby's arrival or for any baby related purchase. We sat in the personal shopping area while I gave Oliver a bottle and it's such a chilled, homely atmosphere with comfy couches and chairs. It helped that they had snacks and drinks laid out for the launch party too - because who wouldn't want a free muffin? 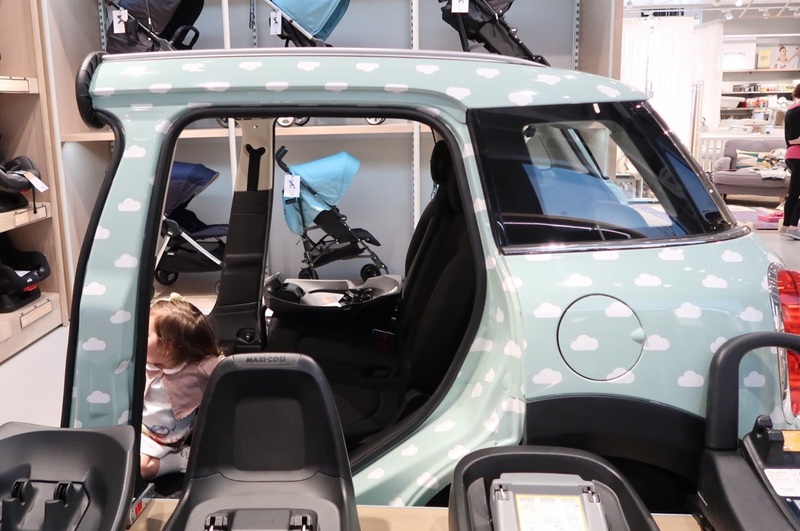 The pushchair area has a mock car set up which can be used to demonstrate how to fit the car seats and the isofix bases. It also doubles up as a fun place for older kids to play on, and we witnessed lots of excited little feet scrambling over the seats as they took their shot in the mint spotted car. They also have an interactive machine, where children stand to have their measurements taken - did any of you see me on my instastories, weighing Oliver and getting his height? It was so cute! 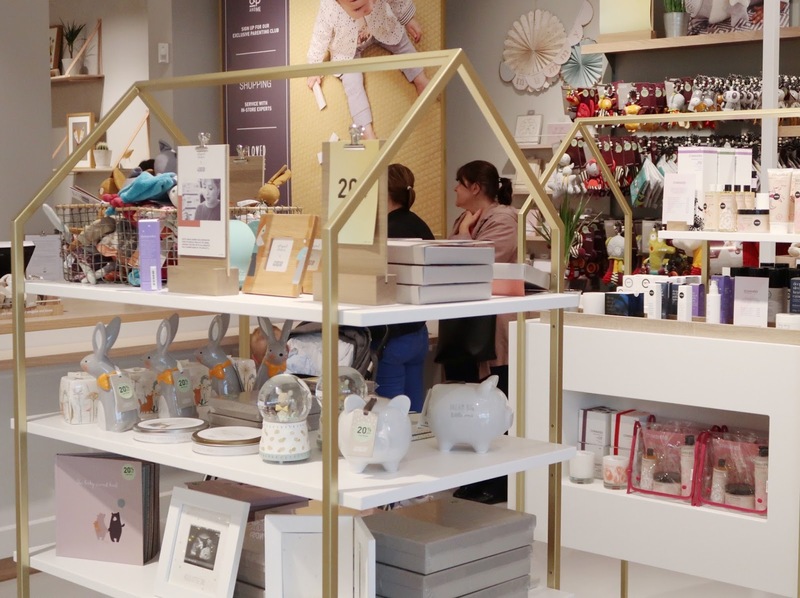 Mamas and Papas sell almost everything you'll ever need for a baby or toddler and it's so easy to spend ages in one section alone, so it's great that the new store has feeding rooms that you can visit if your shopping spree coincides with baby's feeding times. We saw lots of mums making use of the rooms during the day and it just shows how appreciated it is when shops add little details like this. We had such a fun day exploring the new store and taking part in the fun games and competitions. On top of the lovely goodie bag, we won a Cowshed candle on the tumbola and I couldn't resist picking up a summer outfit and adorable little shoes for Oliver too. I also left with a huge wish list after seeing all the gorgeous nursery decor and baby boy clothes. Our nursery is themed around their 'Sweet Dreams' collection and I just can't get enough of those prints and colours. There are some beautiful boys clothing in all my favourite colours - khakis, mustard and lots of cute prints and stripes. I can pretty much guarantee that Oliver's going to be head to toe in Mamas & Papas by the end of the month. I just can't resist their baby clothes and he needs a new wardrobe for summer so it's perfect timing too! Thank you so much to Mamas and Papas and their lovely staff for such a fun day - Oliver and I really enjoyed spending some time in the new store and we will definitely be popping into the store during the week again. Although it's a brand I've always loved, our day at the new store has really confirmed to me that Mama's and Papas are in a class of their own. I can't recommend them enough. Did any of you make it to the opening in Glasgow this weekend?